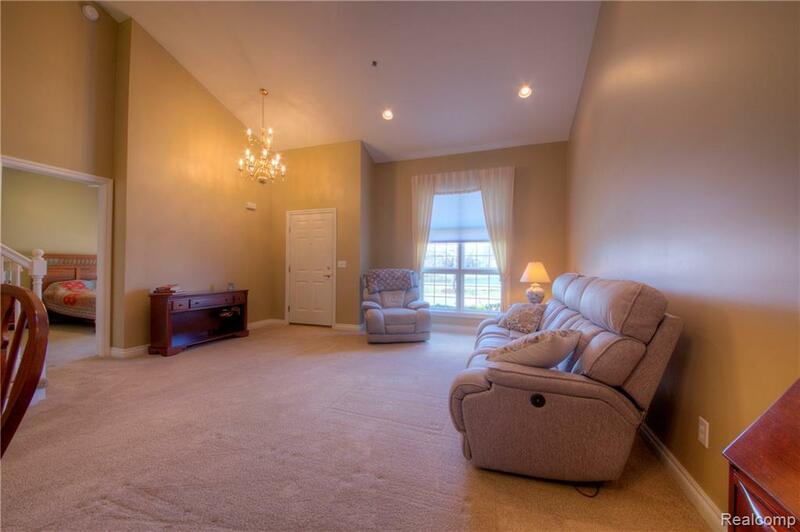 Striking move-in condition condo in The Traditions with a great view of the pond in front. Features include a large kitchen with granite counters, maple cabinets, tile floor, and island for food prep. First floor master suite with 2 closets, a private bath with tile flooring, maple vanity w/ granite top, a huge shower, & jetted tub. Bedroom area has plenty of room for large furniture too. 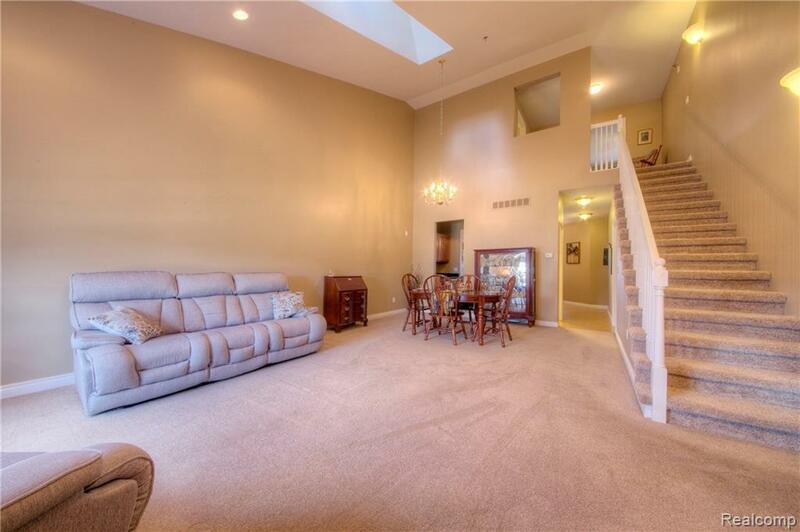 Spacious family room with vaulted ceiling, powder room, and laundry round out the main level. 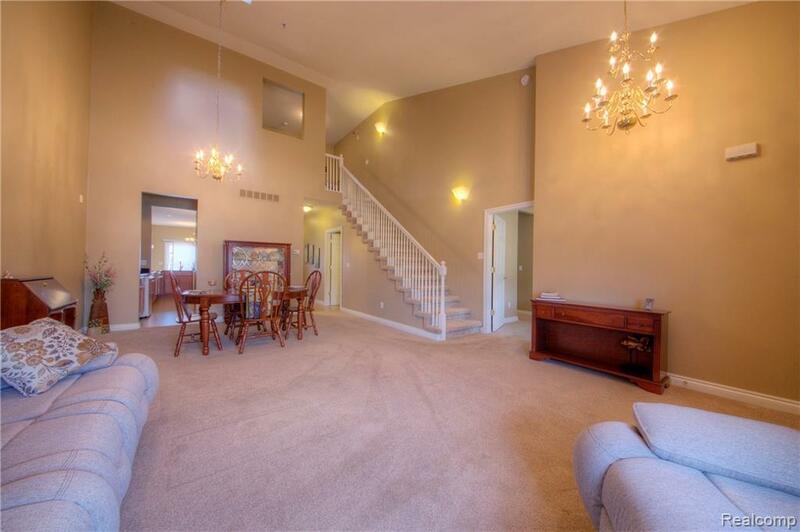 Upstairs, two generous sized bedrooms, one with a walk-in closet. Plus a full bath. Unfinished basement. Brick paver patio off the kitchen. Two car attached garage. Water included in HOA fee. Short walk to the pool, Clubhouse, and tennis courts. You?ll get about 300 sf more living space here compared to new construction in the complex for a similar base price. Immediate occupancy. 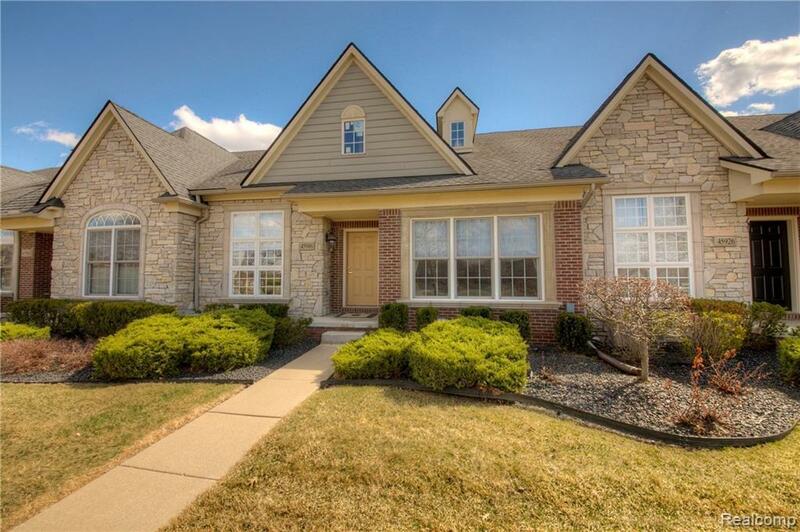 Treat this home like a ranch with everything you need on the main level. Right near the heart of Canton. Move in and enjoy!